With such easy access to the Gulf of Mexico filled with large fish and sharks waiting to be caught, it makes sense to drive down to Corpus Christi to take advantage of the boating opportunities. With the USS Lexington being harboured within Corpus Christi Bay, you have the chance to marvel at the sheer size and history of the naval ship. Also home to Nueces Bay, both bays are perfect for spending the day fishing and trying to catch all 234 species of fish native here. For those water sports fanatics, Corpus Christi Bay is perfect for water skiing. Secluded from the elements of the Gulf of Mexico, there’s wide stretching waters ideal to get up to speed to experience the adrenaline rush of water skiing. From professionals to newcomers, this sport is open to all, with lessons available to learn the proper techniques. Come enjoy one of the most popular and exhilarating water sport yourself. 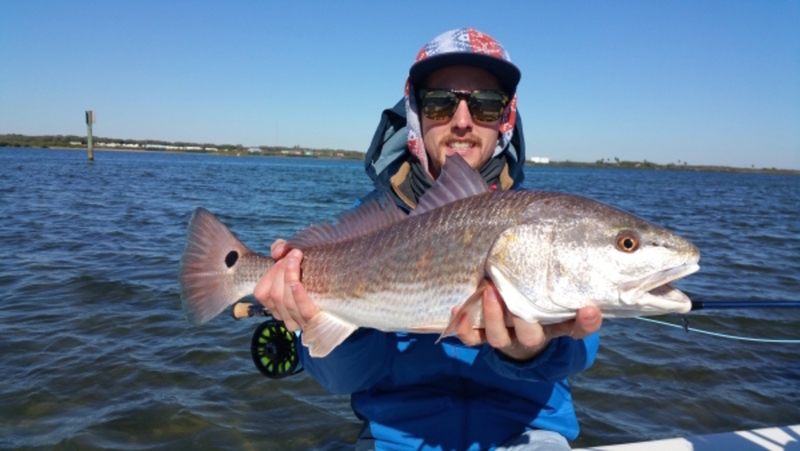 Plenty of Redfish are hiding in Aransas Bay to the point there is a bay in the southwestern part called Redfish Bay. Rather than being a traditionally wide open body of water, the bay actually consists of many islands, channels, and grass flats. Proceed carefully in your boat as the water is shallow, and be careful not to disturb the grass as it is designated as a State Scientific Area. The bay is ideal for trolling and drifting styles of fishing. When hurricane season hits, the winds whip up optimal surfing conditions. The exposed beach is a rare treat to surf, as it is not often providing suitable waves. San Jose Island is a bit of a local surfer’s secret, regularly being quiet and free from crowds, allowing a better surf experience. When the conditions are right, the waves are big and fast, and only experienced surfers will be brave enough to rip down them. A rare treat for those who are adventurous. I don’t think many fishermen will be able to claim a bigger catch than an actual shark. Strong arms are required to reel these in, but the picture opportunity will trump all the effort and patience required. 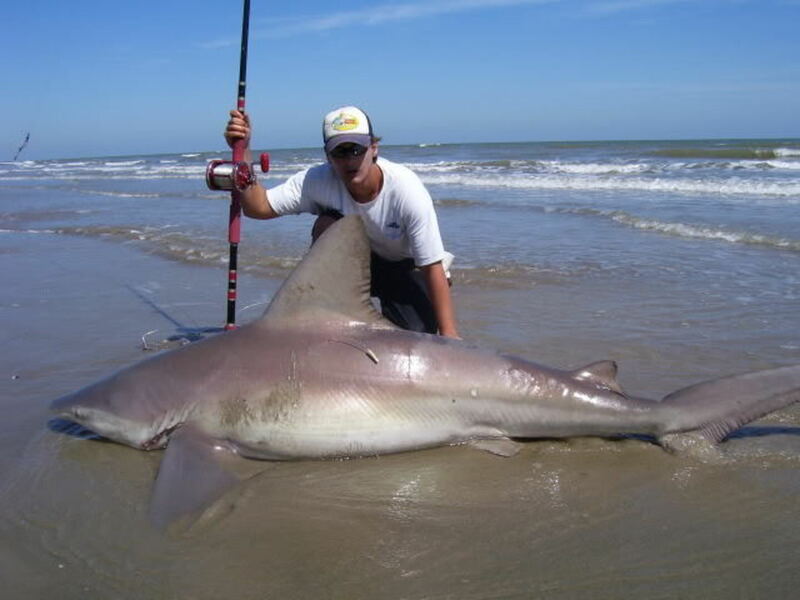 Casting off from the sandy beaches of Mustang Island, many sharks are lured near to steal hooked fished fish as they are being reeled in, meaning you most likely will get more than you bargained for. If you really want to catch one, make sure you don’t leave the beach before it gets dark. 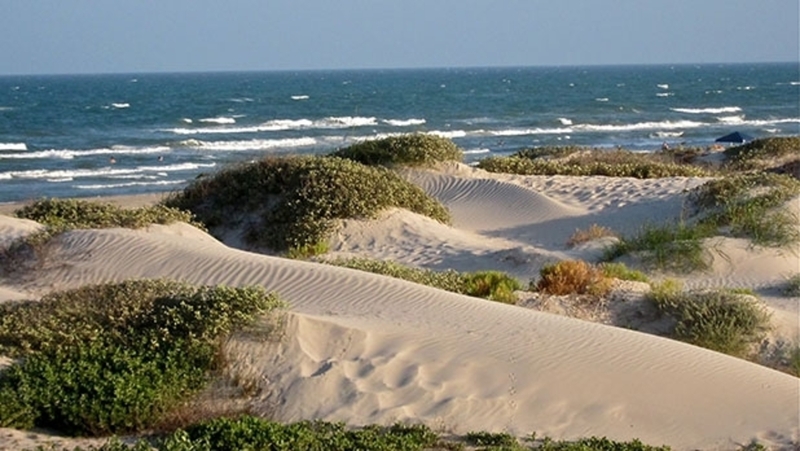 Separating the Gulf of Mexico from Laguna Madre, the Padre Island National Seashore is one of the rarest hypersaline lagoons worldwide because the lake is landlocked and contains unusually high levels of sodium chloride. This seashore is perfect for seeing the local wildlife or planning a camping trip. It provides plenty of chances to enjoy the sun, waves, stretching beaches, and beautiful surroundings. With a steep history, and a range of animals native to the land, there’s always plenty to see.